Since Royce won't fight me I wanna call out Kimbo Slice! There's NO WAY HE CAN BEAT ME IN MY SPORT!!! 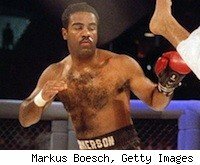 Jimmerson gained a measure of fame from his one and only fight in the UFC, a submission loss to Royce Gracie, who had him mounted. Art didn't know how to escape and tapped out to Royce's top pressure. What made people remember him was the fact that he wore one boxing glove in the fight, on his left hand. Jimmerson has been training in Brazilian Jiu-Jitsu in the hopes of a rematch with Royce, a fight which seems destined to never happen. So now he's setting his sights on Kimbo. 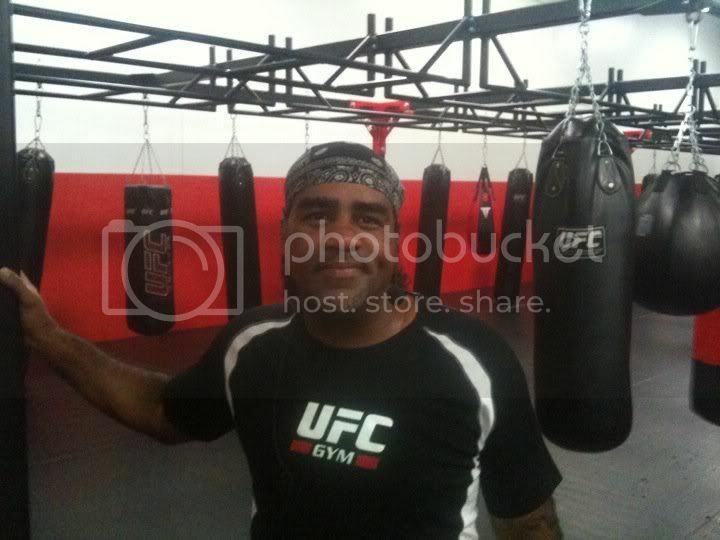 I suspect that Art's request to fight Kimbo is going to met with the same kind of deafening silence that greeted his call out of Royce, but it is nice to see the UFC 1 vet still training and still keeping up with both MMA and boxing. If Kimbo responds to Jimmerson's call out, we'll let you know.